Put a planted median, on-street parking, street trees, multi-use path, pedestrian crossing and urban housing on it! 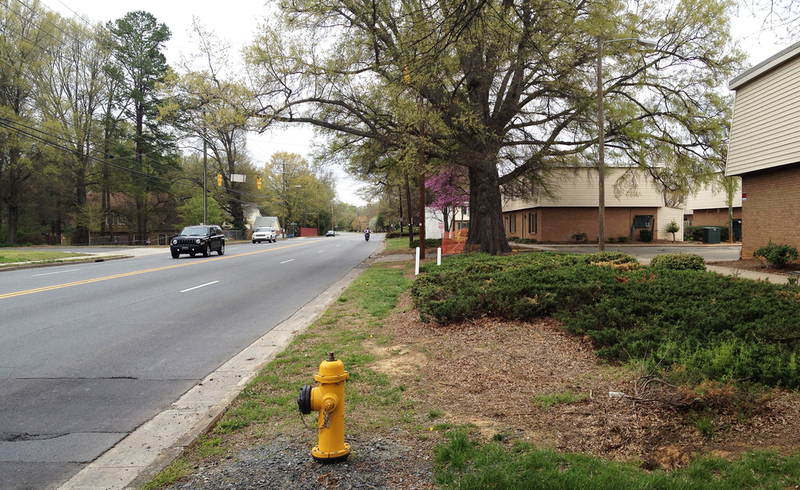 Before: Monroe road is a 4-lane road that lacks infrastructure for pedestrians and bicyclists. The two-story apartments will soon be demolished and they will be replaced by a new multi-use development. After: With the new development, there's a fantastic opportunity re-imagine Monroe Road as a more attractive and safe street for different modes of transportation. A planted median and on-street parking can help the road feel more intimate and make it safer for pedestrians and bicyclists to cross. A generous multi-use path provides a much needed infrastructure for residents to get to the new development and surrounding neighborhoods by foot or on bicycles.